When General Electric (GE) was looking for someone to head its China operations, Mark Norbom was an obvious choice. An Asia veteran, Norbom came with over 15 years of experience in markets like Japan, Taiwan, Indonesia, Thailand and Hong Kong. But somewhere deep inside, Norbom knew that compared to China, the rest of Asia was a cakewalk. He did indeed leverage his experience from similar roles in other Asian markets into the new role, but the unique aspects of China — such as government control of the economy, the sheer size and geographic diversity — made charting a growth strategy really challenging. “China is bigger, more complex, more political and [has] higher growth than any other market that I have had the opportunity to work with in the past,” he says. That China is big, is growing ever faster and has become a manufacturing powerhouse is too well established by now. But there is another reason why companies are gung-ho about the country. China has the potential to change a company’s fortunes. Take the troubled General Motors (GM). Even as his bosses at the Detroit headquarters are staring at the prospect of yet another bad year, GM China’s vice president, Terry Johnsson, is on a roll. Last year, GM China emerged as the biggest foreign car maker in the country, no mean feat for a company that is just 12-years-old in the country. Consider the numbers: GM China sold 1.83 million vehicles in 2009 alone, a rise of a whopping 67 percent over 2008. But becoming China’s biggest foreign carmaker is only one part of the story. In the US, GM sold 2.07 million vehicles in 2009. Clearly, the way that GM China’s sales are growing, it will soon overtake the parent company in terms of sheer volumes. “China is obviously viewed as extremely high priority, probably the highest priority next to the turnaround in the US,” says Johnsson. There are many reasons for GM’s China success. One of which is the fact that the auto market in China also grew by 46 percent. But a lot of it has also to do with how GM went about devising its China strategy. In fact, when GM was looking for a headquarters for its international operations, intuitively it chose Shanghai. For most multinational companies, home is by far the biggest market. Foreign markets are only an opportunity for further growth or diversification. The emergence of China has challenged that model. The GM story is a clear example that the Asian nation could potentially become the market to be in for MNCs. The list of companies that are aggressively tapping the opportunity is virtually endless: Carrefour, Boeing, Volkswagen, L’Oreal, Coca-Cola, P&G, Amway, KFC, McDonalds…! In 1997, L’Oreal began its China operations from scratch. But today, China is one of L’Oreal’s top five markets globally. From 182 million renminbi (RMB) in 1997, the company’s sales have grown to 6.95 billion RMB in 2008. For Procter & Gamble, the Chinese market ranks No. 2 in sales volume and fourth in revenue. China is the biggest international market for Motorola. A clutch of Indian companies have also made deep inroads into China. NIIT, which entered China 13 years ago, runs 183 co-operative education and training sites across 25 provinces and cities today. During the first three quarters of 2009-2010, China contributed 17 percent of NIIT’s IT training revenues. “When we entered, the country was also looking for [alternative] forms of education. Today, the government is telling us that this is the way to go — you are too slow,” says Prakash Menon, president, NIIT China. Packaging giant Essel Propack is also one of the pioneers in China and rakes in a fifth of its global revenues from there. But the landscape is also littered with examples of MNCs who approached the China opportunity and failed miserably. Consider the case of Peugeot. It set up shop in China in 1988, and a couple of years later it was forced to sell its production facilities to Honda. Peugeot approached China with a French mindset largely driven by the headquarters. It stationed expatriate managers on the ground and failed to understand local realities. The big bosses didn’t pay much attention to China. “The Peugeot CEO never even bothered to come to China until the joint venture had to be dissolved,” says a company watcher. On the other hand, Volkswagen, which entered the Chinese market at roughly the same time, is a roaring success today. 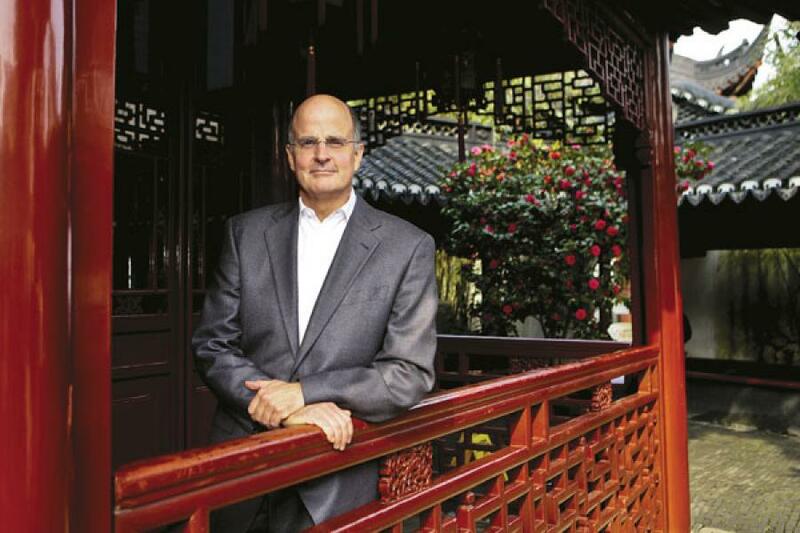 “There was no one in the pioneer team who had any experience in China and we faced millions of problems every day,” says Martin Posth, the founding chairman of Shanghai Volkswagen and the author of 1,000 Days in Shanghai. “But to use a Chinese phrase, we put stone by stone together and the Chinese (workers) learnt very fast.” So the company partnered locally, invested in local resources, training and introduced modern management methods. The key to success is learning to treat China differently. And not everyone manages to do that. “I have seen over the years, that there is often a tension between the local general managers in China and the headquarters,” says Edward Tse, chairman, Greater China, Booz and Company. “In almost all cases, it is difficult for the global CEO, sitting wherever they are, to understand the pulse of the China operation. But that is starting to change. People in boardrooms are realising that the opportunity in China needs to be handled differently. That, in turn, is resulting in more freedom to the Chinese subsidiary, greater resources especially for research and development (R&D), streamlined reporting relationships, quicker decision-making, and of course, reflection of China in global strategic plans. “But for that, the CEO at the top has to be genuinely interested in China,” says Tse. In GM’s case, the then CEO John F. “Jack” Smith was keen on a China presence and was personally involved in negotiations with government officials. He had to hardsell GM to China — and that meant taking the potential joint venture partner to see their plant in Brazil and agreeing to take on a lot of the risk. Unlike what they would have done in other markets, GM stationed in China a senior executive — a corporate vice-president. “This was basically a signal to China from Jack Smith all the way down the organisation that being present in China would be a priority,” says Johnsson. In GE too, the China charge was first spearheaded by former CEO Jack Welch and his successor Jeff Immelt. In some cases, the locus of control seems to be shifting to Shanghai and Beijing. Let’s cut back to GM for a bit. As the parent struggled with a bankruptcy and got a government bailout, GM was split into two entities — GM and General Motors International comprising of all operations outside the US. This was done because GM was being bailed out in the US by the taxpayers’ money. General Motors International was headquartered in Shanghai. “That’s a big change. 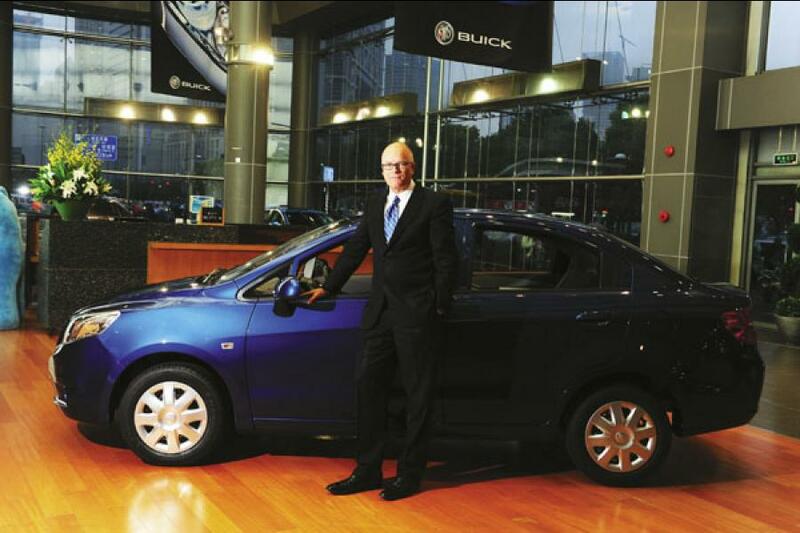 Five years ago, GM looked at China as an emerging market. But very quickly China has become really the most profitable market for GM globally,” says a company watcher. It is happening in other companies too. Today IBM runs all its emerging markets based out of Shanghai — and this includes China, India, Latin America and Africa. Its centre for excellence for global sources is based in China too. “The headquarters need to be willing to empower sufficiently the local operations to tap into the local understanding of the market and the customers, empower enough resources at the local level in order to research and develop the right kind of product, and go to the market with that,” says Tse. That’s exactly why the headquarters gave Paolo Gasparrini, president and managing director of L’Oréal China, a free hand. Says Gasparrini, “Our CEO says that China has to take its destiny in its own hands. So we have to drive our own R&D, take our own internal decisions and more and more, drive our own development.” Given the potential of the Chinese market, it was imperative that L’Oreal devised products that worked with Chinese hair and skin types. The company invested handsomely in local research and sourcing. Next, Gasparrini went ahead and acquired two Chinese companies — Yue Sai and Mininurse — to understand different Chinese consumer segments. Interestingly, Gasparrini is now contemplating how to launch Yue Sai, an inherently Chinese brand, globally. Given its importance, China has been carved out as a separate region in some companies. In 2003, Microsoft separated the China operations from the rest of Asia and appointed a new chairman who was also designated corporate vice-president. This senior-level appointment signified that Microsoft was serious about the China opportunity. Similarly, in the Motorola world, not every country has a full-time president or chairman function. But Motorola China has a full-time chairman. In Samsung’s case, the China CEO is one of three top group executives. Cisco is restructuring its Asia-Pacific operations. China, Hong Kong and Taiwan, earlier part of its Asia-Pacific operations, are being carved out as a separate region reflecting Greater China. Similarly, two years ago, Intel hived off China into a separate business region. Asia, excluding Japan, brings more than half of its revenues. China is the most important region in Asia for Intel. “It is like a ‘mini Intel’,” says Ian Yang, president, Intel China. “We have manufacturing, R&D, sales and marketing. We have very much a complete Intel organisation here. And that has happened after years and years of gradual investment in China.” The top management’s expectations from China are big. “My challenge is opposite ­— can I think big enough? Can I come up with a radical new idea that will take the business to a new height?” Yang reflects.